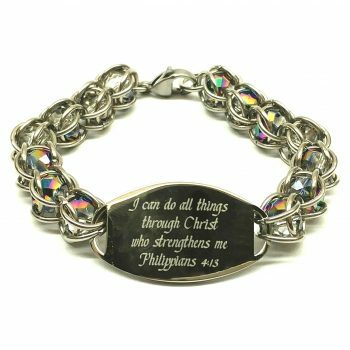 Elegant design with a powerful scripture of your choice! 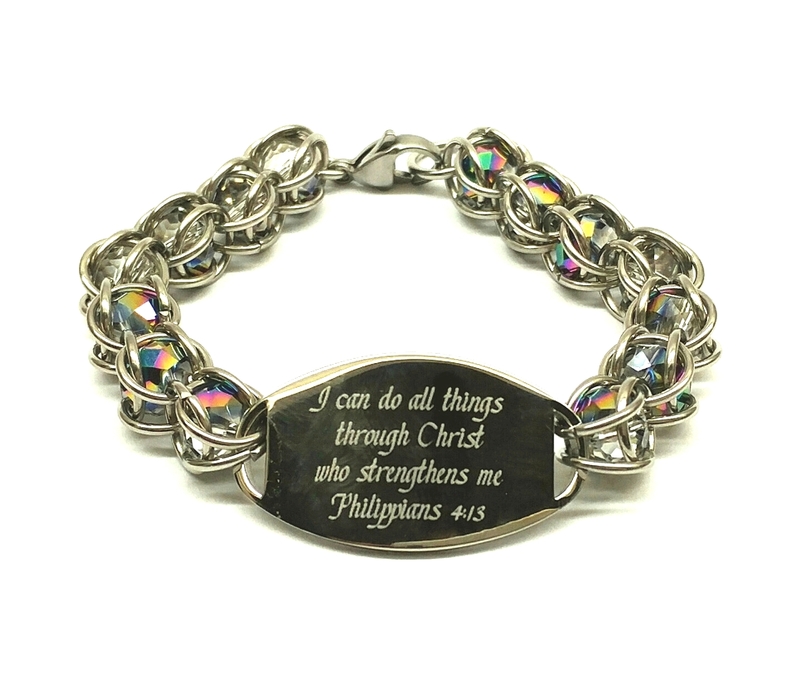 This elegant bracelet is created with a powerful scripture of your choice. The caged beads in the bracelet show a hint of sparkle but the color is not overpowering. 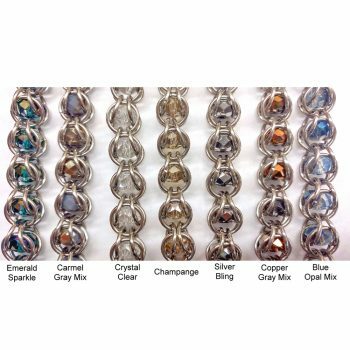 The hand-created bracelet is stainless steel with the crystal beads. 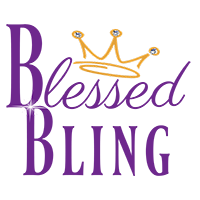 You can choice from our scripture selection list or order a custom scripture. 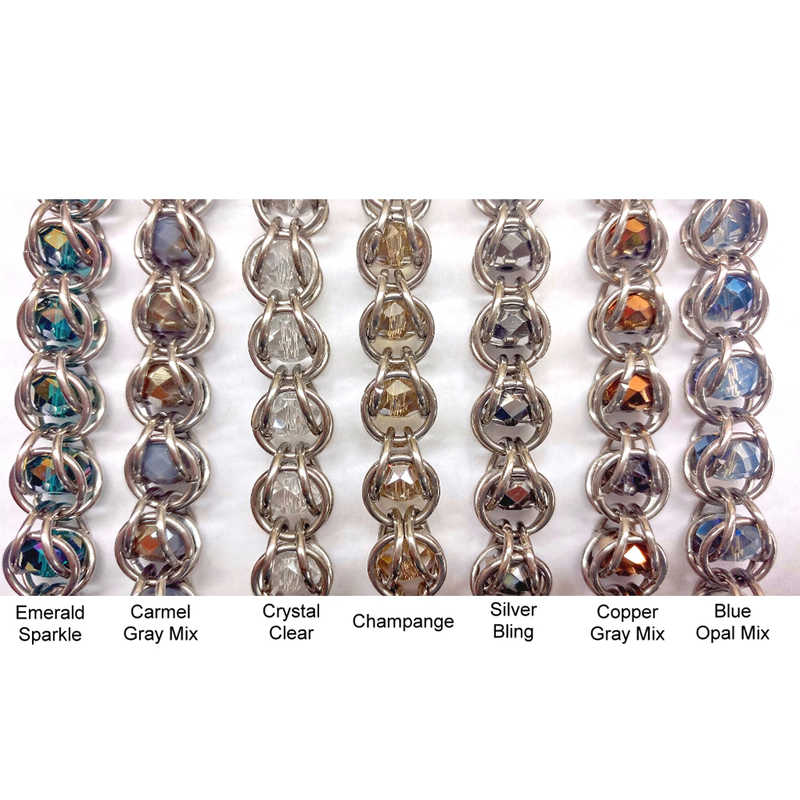 There are currently 5 beads choices also!